Do you suspect a loved one is using illegal substances? If so, follow these tips on how to tell if someone is on drugs. In 2016, the US surgeon general stated that 1 out of every 7 Americans will struggle with substance abuse in their lives. That’s well over 45 million citizens. If you feel that somebody you know may have fallen into that massive amount of people battling addiction issues, that reality may be troubling. You may be wondering what to do, how to help, or if your suspicions are even correct. Knowing for sure if someone is abusing drugs can’t usually be confirmed by asking given that most addicts will hide their illness to avoid judgment. Still, there are ways how to tell if someone is on drugs. Below is a list of the most common signs you can be on the lookout for in order to find out if someone you know is in need of help. 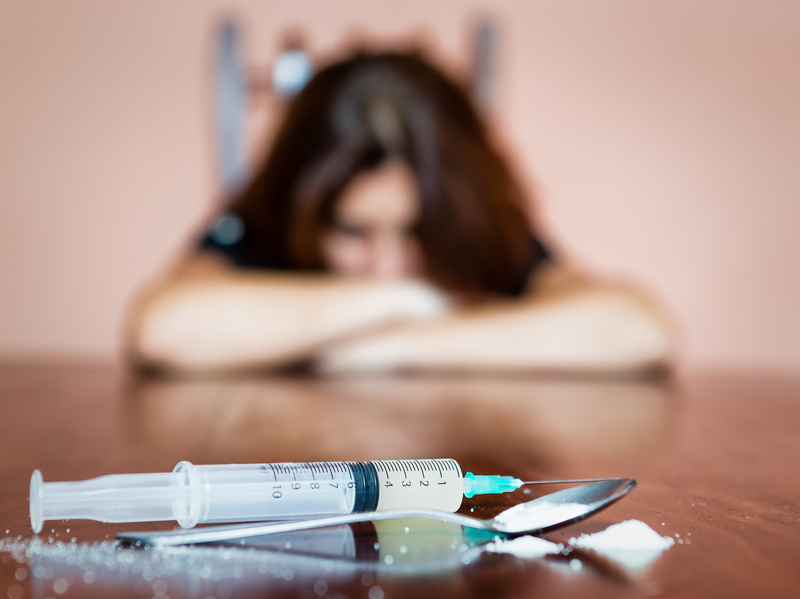 When people become addicted to a substance they become physically dependent on it. This leads to users getting sick frequently or being uncharacteristically lethargic when they don’t have access to their substance of choice and suddenly being fine again when they do. If you’re noticing frequent swings in the level of energy or vivaciousness of a loved one, they may be struggling with one of the substances on the addictive drugs list. Beyond energy swings, consistent drug use will lead to deterioration in one’s physical appearance. Maybe it comes in the way of weight loss, hair falling out, or damaged skin. Stay mindful of signs of physical deterioration as this progression may be due to substance abuse. The physical dependence caused by drug use can lead those addicted to doing things outside of their character. As a matter of fact, the quality of someone’s judgment making a sudden shift is one of the primary ways how to tell if someone is on drugs. A person exhibiting one or many of the above items may be doing so as a result of drug abuse and may require help. Drug addictions can be extremely costly. Because of that, using consistently may lead addicts to financial ruin which is often easy to identify. If a loved one is is frequently asking to borrow money and doing so hasn’t been a habit in the past, addiction could be a factor. If the person you suspect of addiction does not live with you but has needed to make considerable financial cut-backs in the way of selling a home, a car, or parting with jewelry for undisclosed reasons, addiction may be to blame as well. Spectating shifts in the financial health of someone you know can be a good way of how to tell if someone is on drugs. If you see these signs and your addiction suspicion is confirmed, you can learn more here about how to get help. When a user is addicted to a substance and can’t get it easily it can lead to irritability. This is caused by both physical and emotional dependence on substances. Irritability can manifest itself in a number of ways including fighting frequently with friends and family members, frequent tantrums, and/or long periods of uncharacteristic silence. It’s important to understand that there is a certain threshold of acceptable moodiness, particularly in young people, which is more than likely tied to factors outside of drug abuse. Still, if the level of irritation exhibited by a person seems sudden with no particular life event tied to it, addiction may be to blame. Shame and addiction are two leaves on the same branch. Many addicts won’t openly admit the level of shame they’re feeling being overtaken by substance abuse but there are few who don’t experience it. Addiction is a disease. One that’s nearly impossible to come out of without proper professional help. Because of the helplessness so many experiences, they’ll often exclude themselves from the life they used to enjoy. Perhaps they’re no longer part-taking in hobbies. Maybe they’re no longer enjoying time with friends, family members or pets. Whatever it may be, sudden isolation can be a factor indicative of addiction. While some addicts experience isolation as a result of their substance abuse, others choose to surround themselves with like-minded individuals who collectively enable one another. Therefore, if someone you know has suddenly abandoned their long-term friends or romantic partner and now keeps company that is negatively influential, addiction could be a factor. Talk to a suspected addict’s former friends and loved ones. Ask them why they no longer associate with the person you suspect of drug use. Doing so could uncover if drugs are truly an issue. Paranoia is a trait common in people doing drugs. While it’s normal for some people to be acutely aware of their surroundings in a way some may perceive as being paranoid, drug-induced paranoia is a form so severe that it’s psychotic. Drug-induced paranoia may include a constant suspicion of other people’s motives, a constant questioning of everything, believing one is being subjected to subliminal messaging in television programming, believing that government agencies are conspiring against a person and more. If you notice what you feel is a psychotic level of paranoia in an individual, drugs may be to blame. There are many signs which can support how to tell if someone is on drugs. Being prepared to identify those signs is very important as most drug and alcohol abusers will not be forthcoming in their addiction. If you confirm the unhealthy presence of drugs with someone you know, show them empathy. Meeting addiction with disappointment only serves to feed the cycle. After exhibiting empathy, be sure to do anything you reasonably can to help the person get the help they need. Wanna learn more about a variety of health-related topics? How about reading inspiring articles from around the web? For all of that and more, continue digging deeper into the Internet Vibes blog!